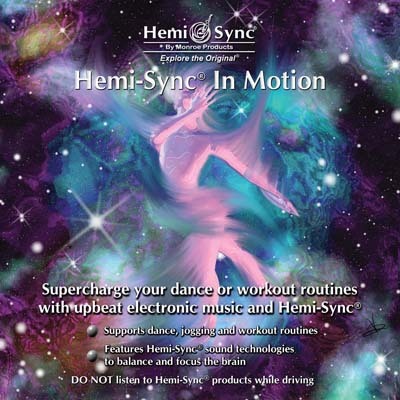 Supercharge your dance or workout routines with upbeat electronic music and Hemi-Sync®. Supercharge your dance or workout routines with upbeat electronic music and Hemi-Sync®. J. S. Epperson’s driving rhythms are combined with the innovative use of Hemi-Sync® to give you added horsepower when you need it. Use this cutting-edge composition for dance, jogging, workout routines, or play in the background while cleaning house. Includes brief warm up and cool down tracks. Length: 34 minutes. Other Metamusic® titles by J.S. Epperson are: Ascension, Einstein’s Dream, Higher, Illumination for Peak Performance, Indigo for Quantum Focus, The Lotus Mind, and Remembrance.